A collection is a group of records in SuperSearch. 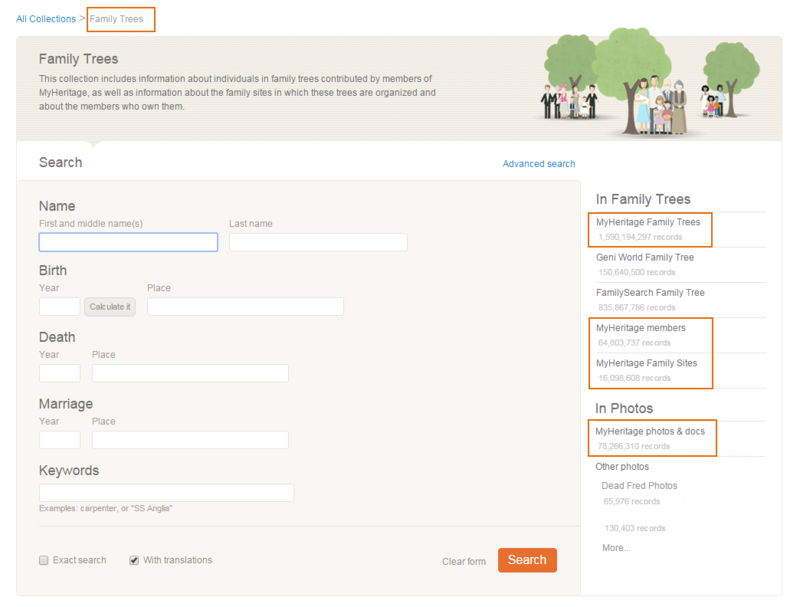 For example, BillionGraves is a collection, MyHeritage family trees is a collection. A collection is different from a category. 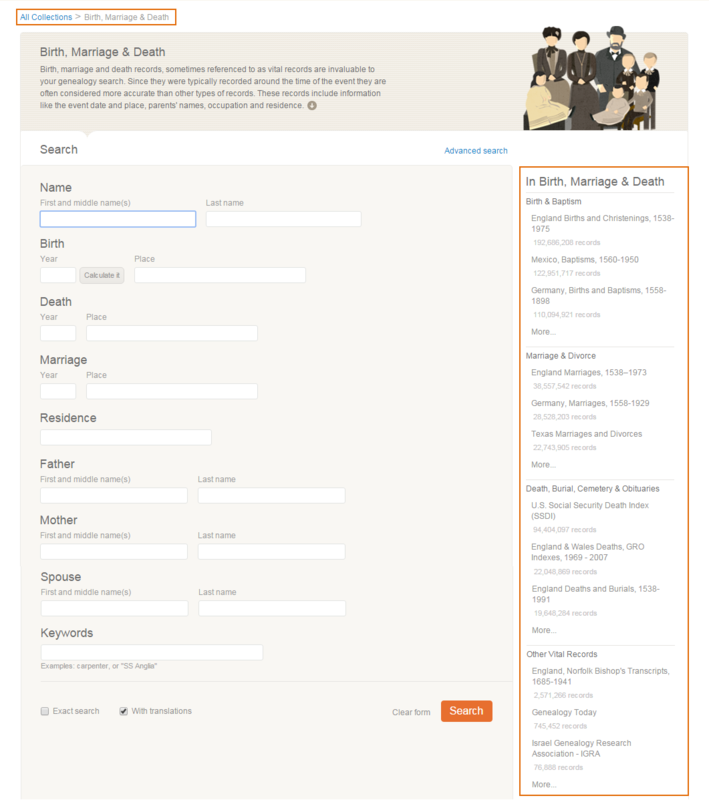 An example of a category is “Birth, Marriage and Death” records. Inside the category “Birth, Marriage and Death” records you might find several collections such as England Births and Christenings or Texas Marriages and Divorces. The ‘MyHeritage’ collections include MyHeritage family sites, MyHeritage members, MyHeritage family trees and MyHeritage photos.